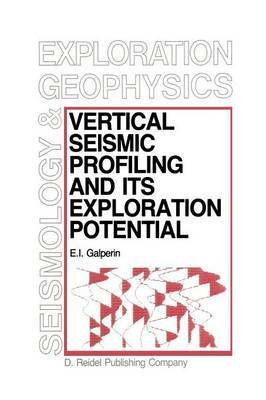 The present book is the author's third on the subject of vertical seismic profiling (VSP). Ten years have elapsed since the pUblication of the fIrst book. During this period, VSP has become the principal method of seismic observations in boreholes and the chief method of experimental studies of seismic waves in the real earth. VSP combines borehole studies in the seismic frequency band, well velocity surveys, proximity or aplanatic surveys, all of which previously existed as separate methods. The high effectiveness ofVSP, its great practical value, the express nature and clarity of the results obtained have all contributed towards a very rapid acceptance of the method. In the USSR VSP has been used in an overwhelming majority of areas and is being used increasingly in many foreign countries as well. This has been greatly facilitated by the translation into English and the publication in the U. S. A. by the Society of Exploration Geophysicists of the book Vertical Seismic Profiling (Tulsa, Oklahoma, 1974). As the method has become more familiar, it has attracted growing interest outside the USSR This has been substantiated by the special seminar on VSP (Oklahoma, 1979) which was organized for 22 U. S. companies and universities and presented by the author.